Membership Development goals are created for each individual Section for both recruitment and retention, based on five years of history of the section. Sections which meet both objectives are awarded a Gold medal of recognition. Bombay section achieved the feat of Gold Medal and also is ranked 1st in Renewal. Bombay Section is proud of the branch counsellors, MD volunteers and everyone else for their support. I am pleased to recognize the Bombay Section for meeting both its recruitment and retention goals for the 2017 membership year. Congratulations! The membership development goals were developed based on your Section’s three year performance. You are to be commended for continuing to grow IEEE membership in the Bombay Section. 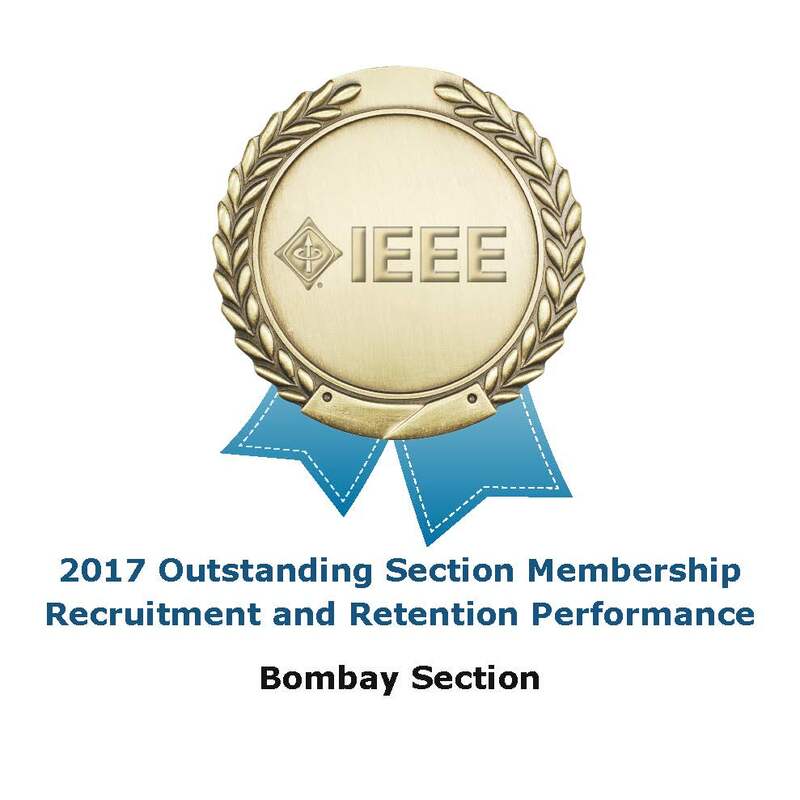 Your effort in both recruiting and retaining your members is truly making a difference both locally and in the overall growth of IEEE.